NOAA Saltonstall-Kennedy sent letters out to recipients that did not past the first phase of cuts by technical reviewers in respective areas of expertise. For everyone else that has not heard back from NOAA, take it as a good sign. Full proposals must be received by http://www.Grants.gov, postmarked, or provided to a delivery service by 11:59 pm, Eastern Standard Time, December 9, 2016. The submission of your full SK application through Grants.gov, the online portal to all Federal grant opportunities, is strongly encouraged. Notification of successful pre-proposals were sent out on October 6th 2016. There were over 600 pre-proposal submissions this year. More information about this solicitation can be found below taken from this website. 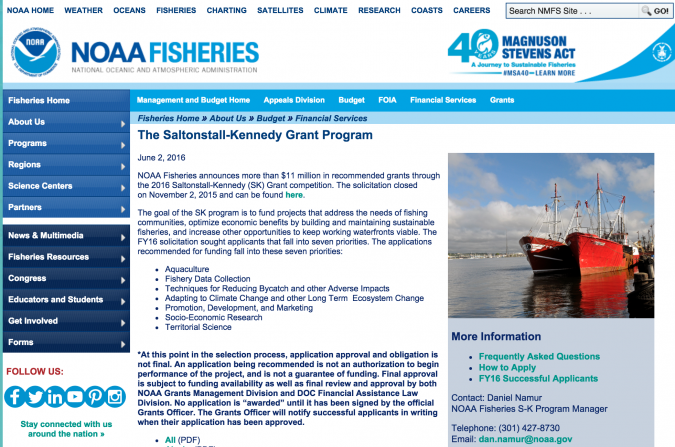 NOAA has recommended $11 million in funding through this years Saltonstall-Kennedy Grant Program. 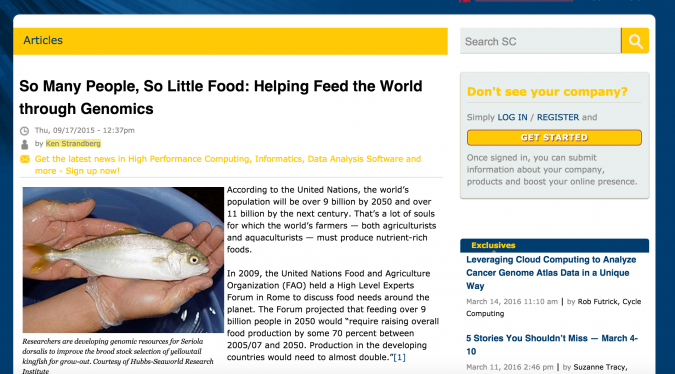 Two of our big projects have been highlighted in an article by Ken Strandberg at scientificcomputing.com. Check it out by clicking on the image.